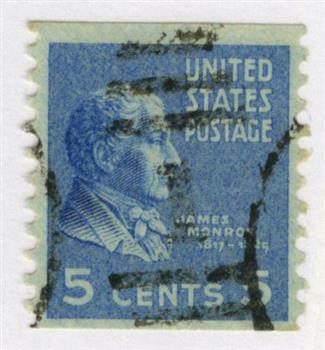 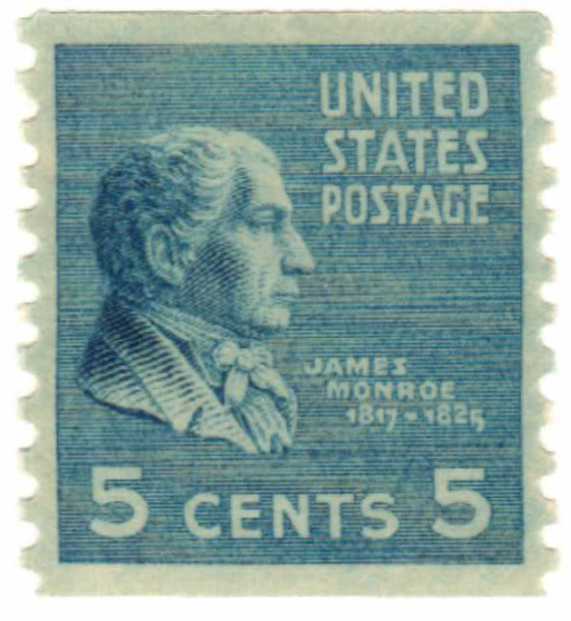 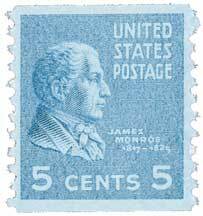 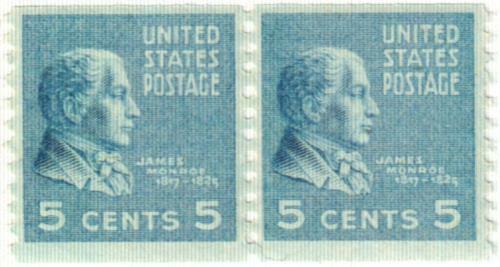 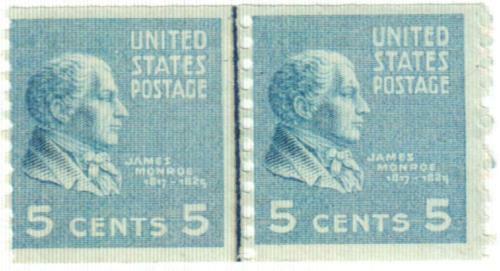 James Monroe is the only President who ran unopposed. 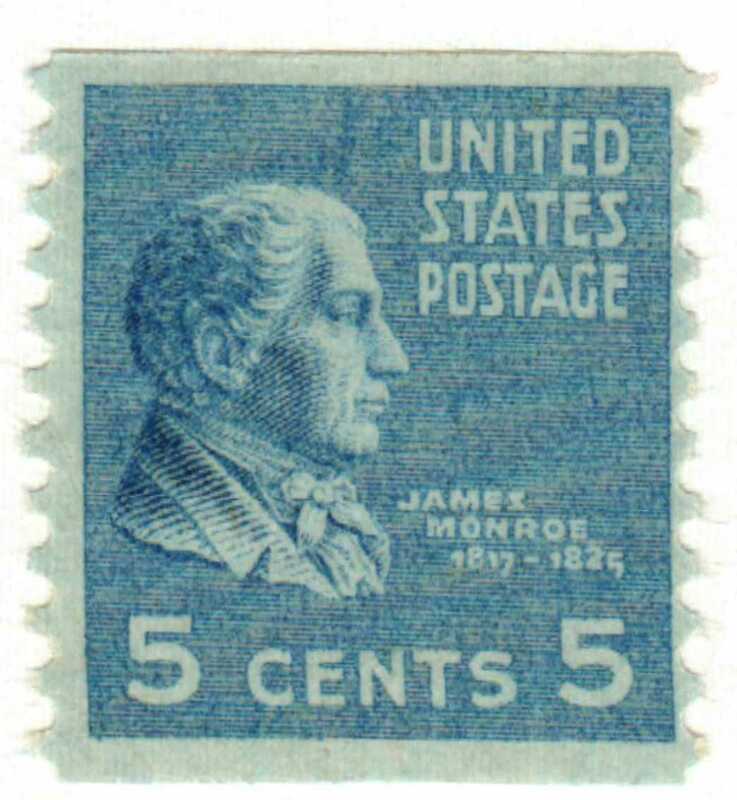 He’s best remembered for his Monroe Doctrine of 1823, which stated, “The American continents…are not to be considered…for future colonization by any European powers.” This bold statement has become a cornerstone of American foreign policy. 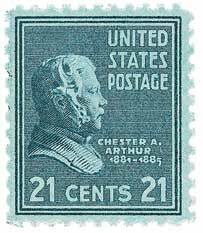 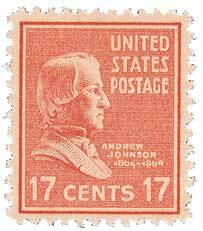 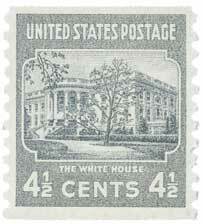 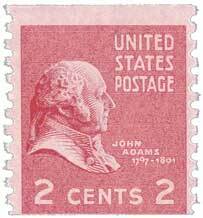 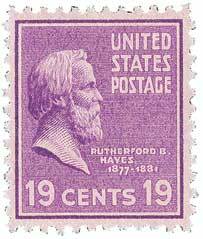 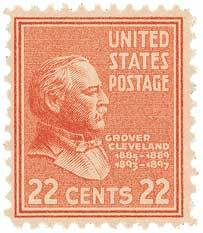 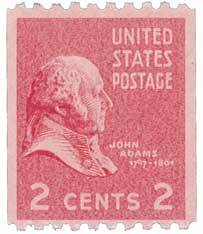 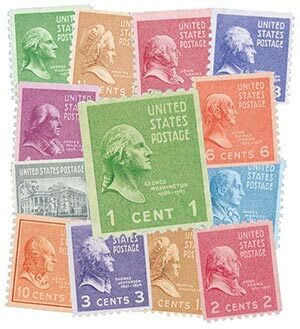 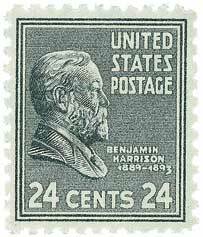 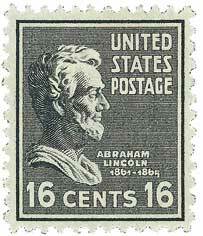 The 1938 Presidential Series was printed on rotary press and perforated 11 x 10.5. 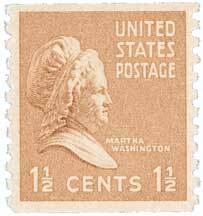 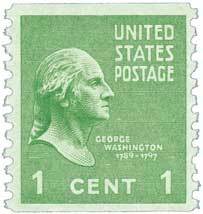 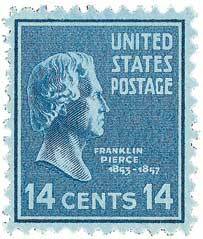 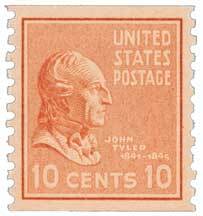 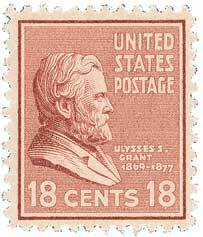 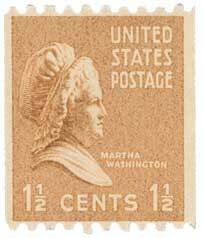 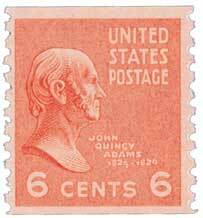 In 1939, the 1¢ to 10¢ denominations were issued as coil stamps with 10 gauge perforations vertically. 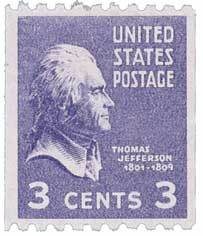 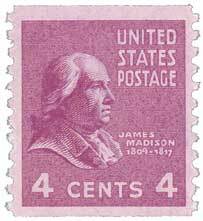 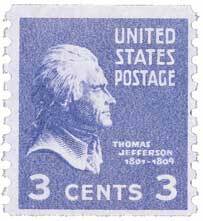 The 1¢ to 3¢ denominations were also issued with horizontal perforations.